For many Adventist institutions outside North America, recruiting non-Adventist students is already the norm. 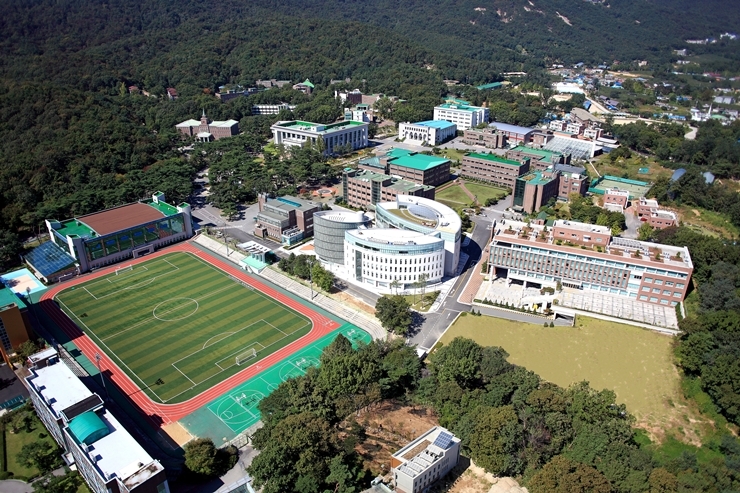 Sahmyook University in metro Seoul, South Korea, provides the most obvious example: of Sahmyook’s 5,787 students enrolled in 2016, only 809 (14%) were members of the Adventist Church, according to data from the General Conference Office of Archives, Statistics, and Research. Over half of South Korea’s population claimed no religious affiliation in a 2015 census while 27.6% identified as Christians. Another 15.5% claimed Buddhism. Of South Korea’s estimated population of 50.8 million, there were 245,621 Seventh-day Adventists in 2015 (0.5% of the population). South Korea’s demographics make looking outside the Adventist denomination for Sahmyook’s enrollment seem an obvious choice. Sahmyook is not alone either. The University of Arusha in Tanzania has 610 Adventist students out of 3,155 (19.3%). Below is a breakdown of the data provided by the Office of Archives, Statistics, and Research (ASR) on Adventist enrollment percentages for the Adventist institutions of the Worldwide Seventh-day Adventist Church, division-by-division. The number of institutions is given for each division along with the total enrollment. The total Adventist enrollment at Adventist institutions of higher education is 55% (80,847 students out of 147,123 enrolled). While Loma Linda University declined to share data on its students’ religious preferences, according to ASR statistics, in 2016 Loma Linda enrolled 1,960 out of 4,629 total (42%) Adventist students. Loma Linda is not the leader in low Adventist enrollment. Kettering College of Medical Arts in Ohio only enrolled 76 Adventist students out of 761 (10%), and the Adventist University of Health Sciences in Florida enrolled 425 out of 2,090 Adventist students (20%). Here are the rest of the Adventist colleges and universities in North America ranked by percentage of Adventist students according to 2016 ASR data. The data make clear that some Adventist colleges and universities in North America have already moved away from being centers of learning primarily for Seventh-day Adventist students. They are led by the health sciences institutions, Kettering, Loma Linda, and Adventist University of Health Sciences. With global Adventist student enrollment in Adventist colleges and universities at 55% and shrinking, religious inclusivity is increasingly the norm. *This story originally listed Burman University's Adventist student population as 50.1% of its total enrollment based on statistics courtesy of ASR. Burman University said the number was 83%.